I'm making an online shopping store or e-commerce and I use an express session for many things. I store the data chart list in the database based on the sessionID so when a user visits the website, the user does not need to log in for add to cart. 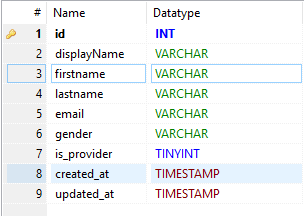 As well as login, to check the user has logged in or not, I have checked the sessionID that is in the user and checked it on the database whether or not the sessionID is in the database. When logging in with Google or Facebook, I use the passport for authentication and when I am successful I store the sessionID to the database. I am using React SPA, Express.js and MySQL. Is what I'm doing correct? And what about the passport? Because as far as I know the passport uses the Headers Authorization token. Thanks for your first submission for review. Do you do any validation on req.body at all outside of this function? You are taking a potential dangerous path in there is no input validation here. The code is VERY hard to read. It is not indented well (particularly around SQL queries), has no comments, and has inconsistent use of vertical whitespace to separate logical sections. You have many more nested if-else conditions than are needed. You should always that about inverting conditions to de-nest things, and should use return appropriately to de-nest. Code with this many branches is going to be very fragile to maintain and extremely difficult to test all those code paths. Here you exit early on error condition and let the rest of the code proceed without being in an else condition. There is no need for most of your else conditions if you are making a return in from the previous conditional statement. Many of your let declarations could and should be const when the variables are not intended to ever be reassigned. Besides these code issues noted, I am struggling to understand what you are trying to achieve here. What does a cart have to do with a session or a login at all? Why tie something that perhaps should persist across sessions to a given session? How do you handle updating carts around events that should regenerate session id's like logins/logouts? How do you handle session expiry? 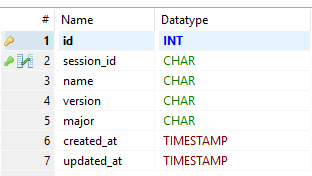 Why is Session Browser "normalized" into it's own table when it seems there would be 1:1 relationship with session? Is my Node/Express-based authentication implementation with session properly done?